Lote 8, Minga Porá district, Alto Paraná--October 29, 2008--Transgenic soybean plantations fill the horizon as far as the eye can see, reaching a crossroads from all sides. 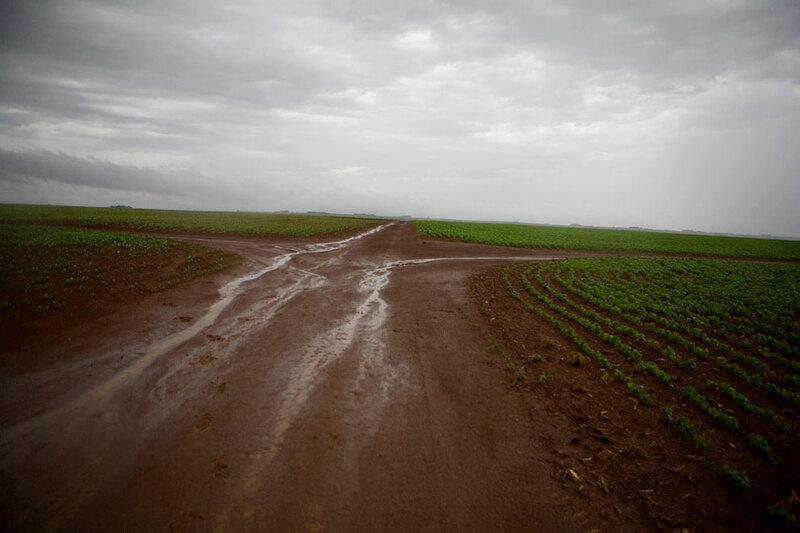 Soybean agroindustry has taken over virtually all of the land in the highly fertile eastern and southern regions of Paraguay, and is moving steadily into the central parts of the country, where the majority of Paraguay's population carves out a living in subsistence farming. Since the first soy boom in 1990, nearly 100,000 small-scale farmers have been uprooted from their land and forced to migrate to the slums of the big cities. The total expulsion of famers due to expanding soy production reaches nine thousand families per year.